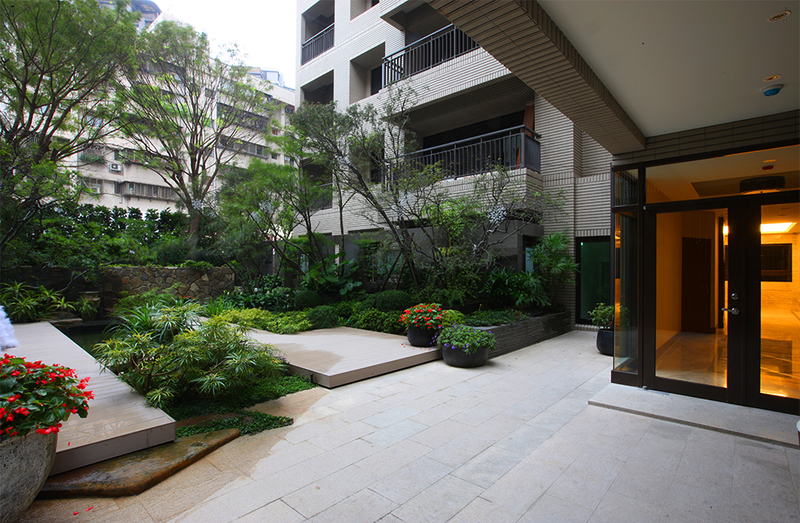 Kee Tai Boutique Home was splendidly finished in the spring of 2011.It’s geographical location is in the center of Xinyi Business District, Dunghua Boutique Avenue, SOGO Fashion Circle, embracing the three internationally magnetic fashion areas of Xinyi District in Taipei. 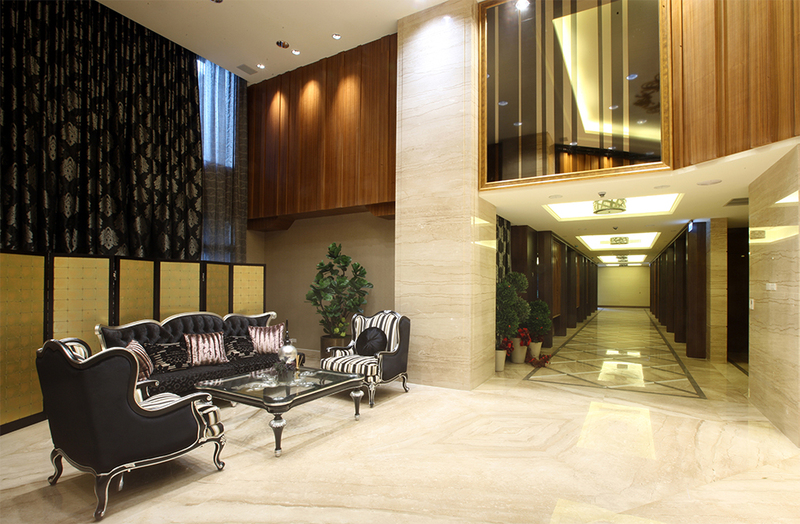 The 6.9 m high ceiling concierge lobby with professional business services, an entertainment center, community secretaries that support English and Japanese, a community managers, and 24-hour security concierges, provide residents living, business, and other various agent service. 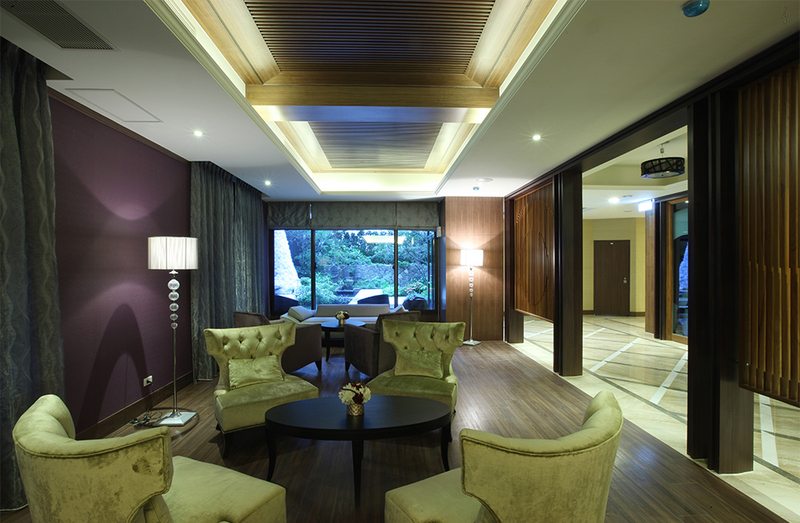 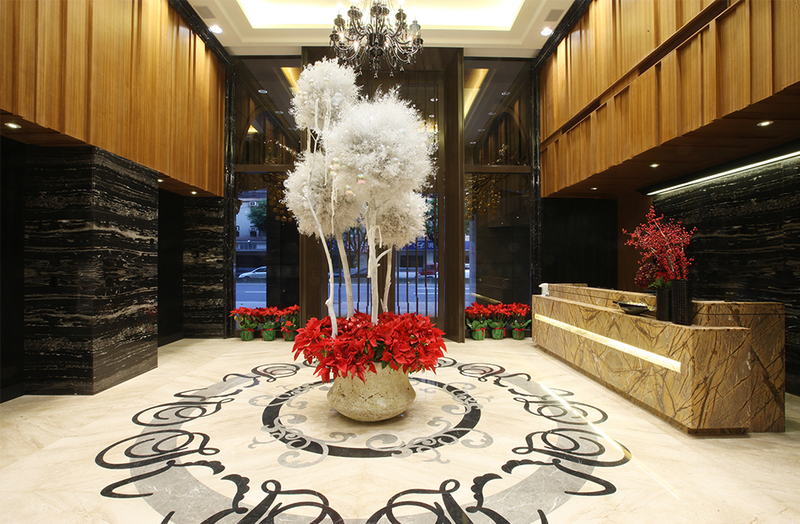 The genuine hotel-style services and extensive facilities provide the businesspersons working in the Xinyi financial district, (overseas) Taiwanese businesspersons, expatriate Taiwanese, and high-ranking executives accredited in Taipei with the most comfortable residences. 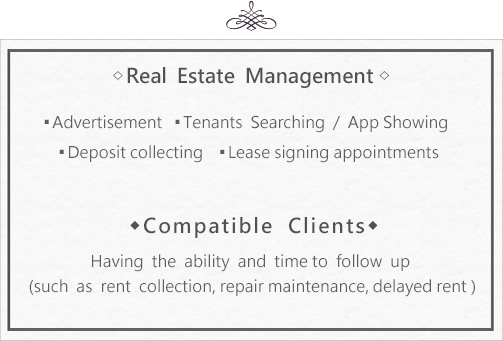 Leasing center is a part of the Kee Tai Management Consulting Inc that has been operating businesses such as office buildings, business conference rooms, community residence, and hotel apartments, Our Leasing Center, KT-Star and KT-Boutique, will be helping out with any rental and selling of real estates. 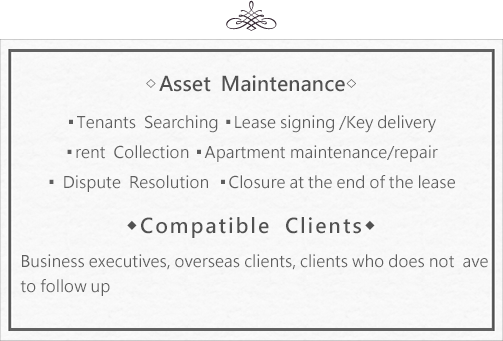 Not only does the team maintain and , manage the assets, but also provides leasing service such as rental and management in order to create the most profit for our clients. 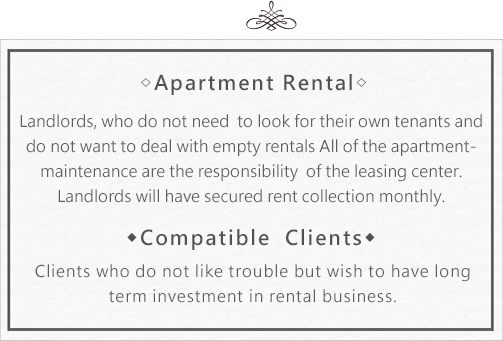 The Leasing Center's purpose is also to increase the value of the asset so that our clients will have secure rentals in addition to profiting from resale. 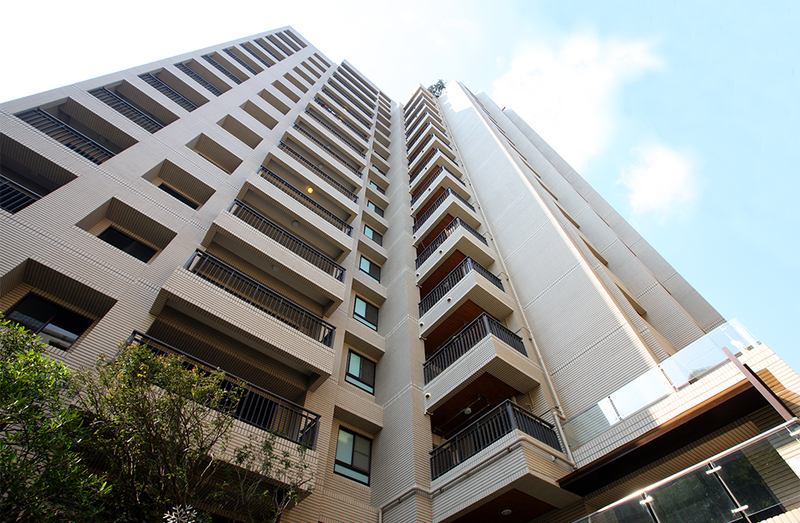 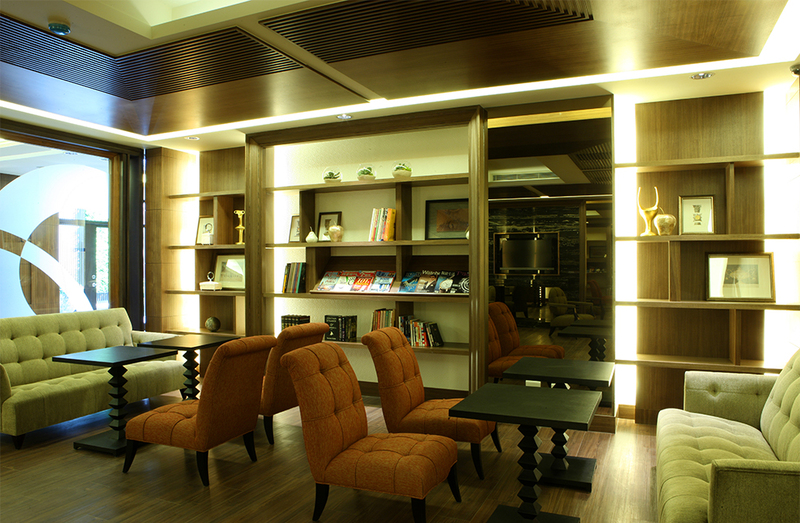 Currently, Kee Tai Star and Kee Tai Boutique are the hotel apartments that are under management by the Leasing Center. 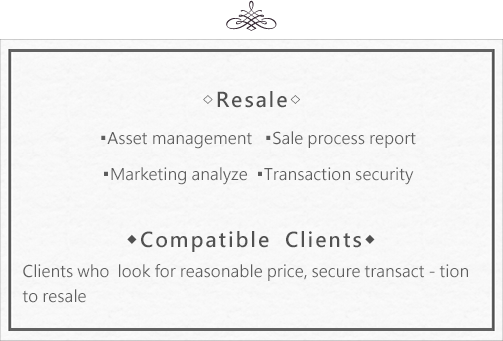 Chesslite Executive Consulting Co., Ltd.